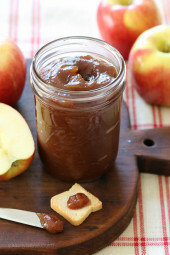 Apple season is here, and if you’re planning on doing some apple picking this Fall then making apple butter is a must! Apples are slowly cooked in the crock pot with sugar and spices, caramelized to make this sweet thick dark apple preserve (like a spreadable apple pie) that’s great on toast, stirred into your oatmeal, Greek yogurt or cottage cheese, served over pancakes or biscuits, graham crackers, etc, and for savory dishes such as roast pork or on a sandwich. Grilled turkey and brie sandwiches with apple butter is a favorite! 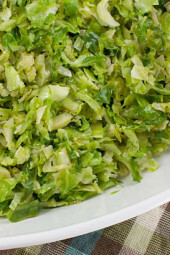 This lasts a long time in the refrigerator, at least one month if not longer. I usually like to use a blend of sweet apples such as honey crisp, gala and ambrosia apples. 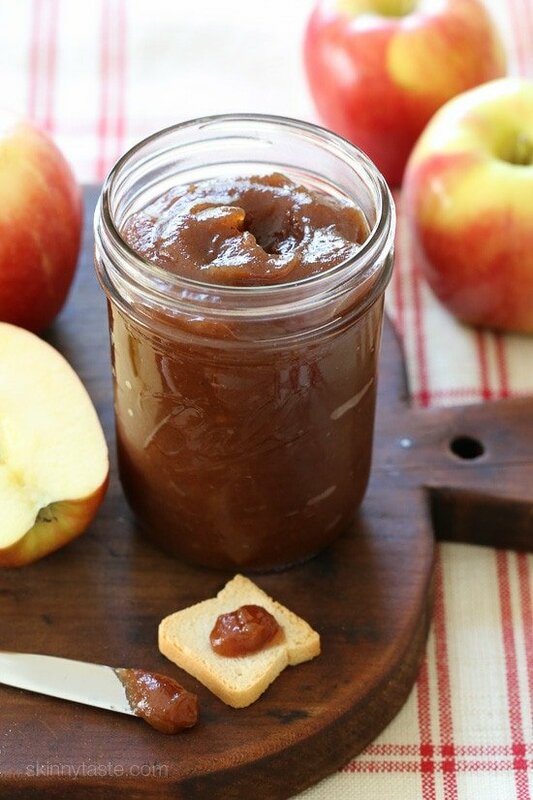 What’s your favorite way to use apple butter? Would love to hear your comments! 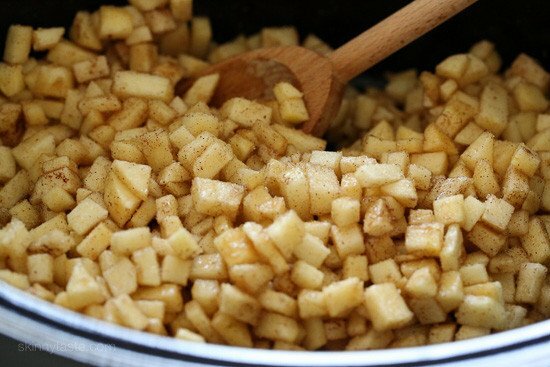 Place the apples in a slow cooker. 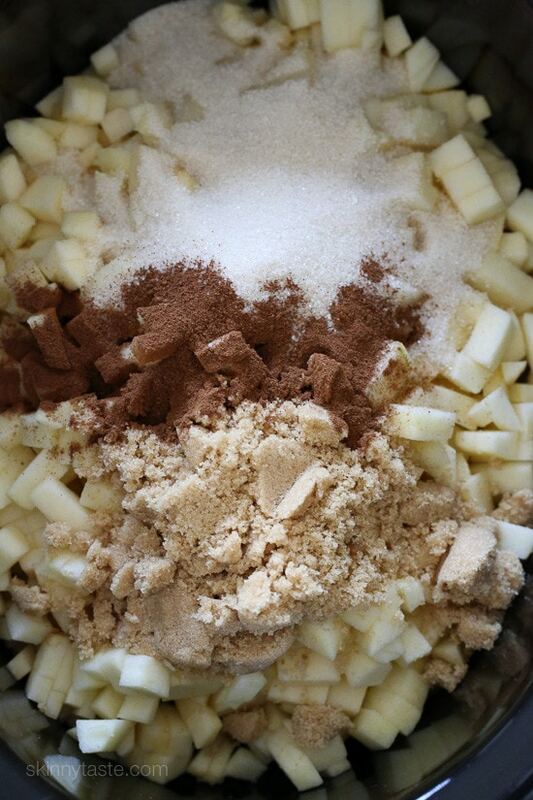 Top with sugar, brown sugar, cinnamon, allspice and nutmeg and mix well. 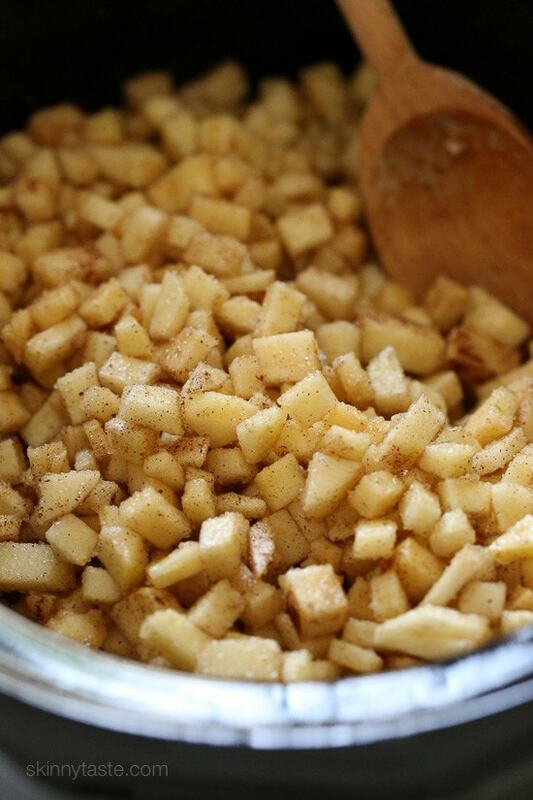 Cover and cook high 5 hours, or low 10 hours, stirring once halfway, until the apples are tender and dark brown. Uncover and puree with an immersion blender. Cook on high uncovered 2 hours, stirring occasionally, until thickened. I recently discovered Apple butter, and I really love it. 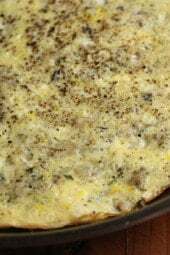 Is it possible to use the same recipe with pears? How long will this last in refrigerator? 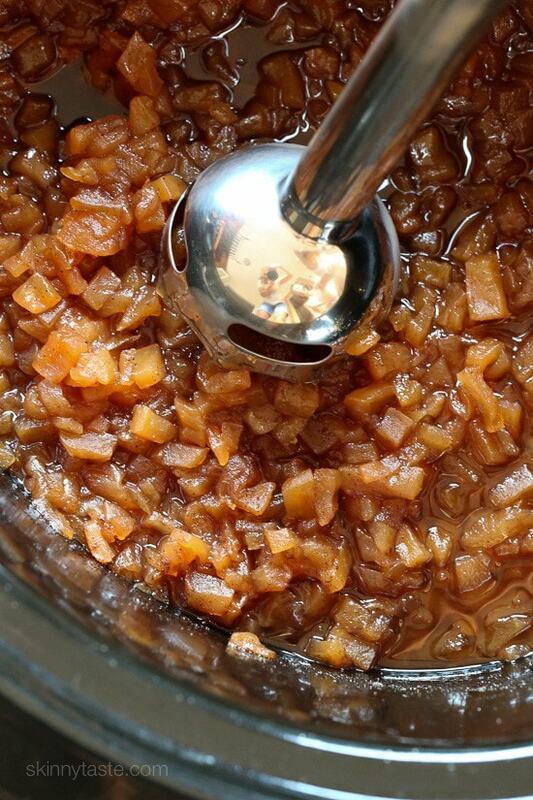 This is the first recipe for apple butter that comes up on a search…which is good because it is the only one I will ever need. 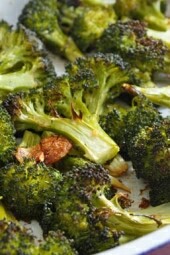 The whole family loves it!I did add just a little vanilla and a dash of bourbon.??? ?